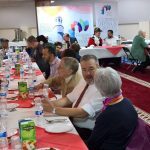 Finsbury Park Mosque Iftar this year was held on Tuesday night and included many new faces alongside regular guests including local MP and leader of the Labour Party Jeremy Corbyn, leader of Islington Council Cllr Richard Watts, The Mayor of Islington Cllr Dave Poyser, The Borough Police Commander Dr Iain Raphael, Shaykh Faid Said, The Chairman of Islington Faith Forum Elizabeth Chappell, The secretary General of the MCB Haroun Khan and Dr Anas AlTikriti The President of Muslim Association of Britain, Cllrs Asima Shaikh, Rakhia Ismail and Caroline Russell, Javid Rana President of National Association of Muslim Police, local Church leaders and representatives from the Jewish Community. 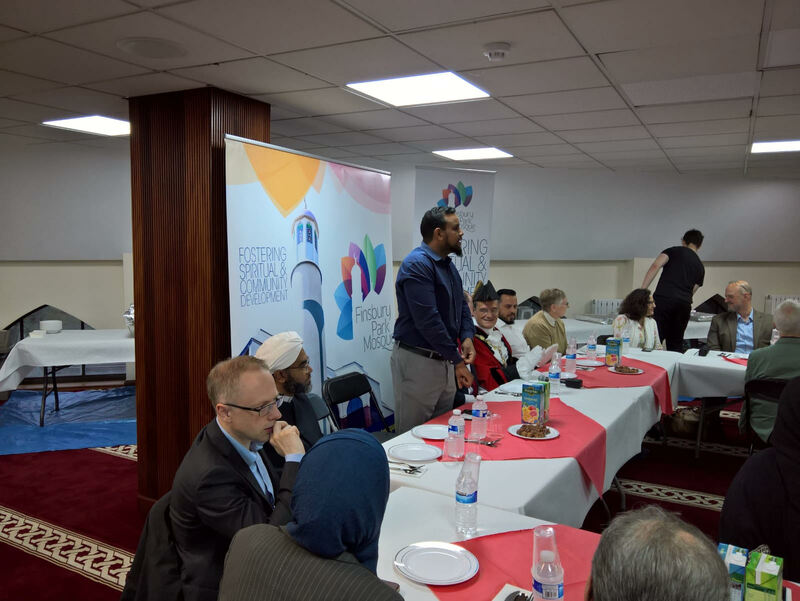 A welcome by the Secretary Trustee Khalid Oumar, then the Chairman of the Mosque Mohammed Kozbar, welcomed in particular the Makram Ali family, honouring their grace and strength after the terrible attack on worshippers leaving the Mosque after Ramadan prayers just a year ago. 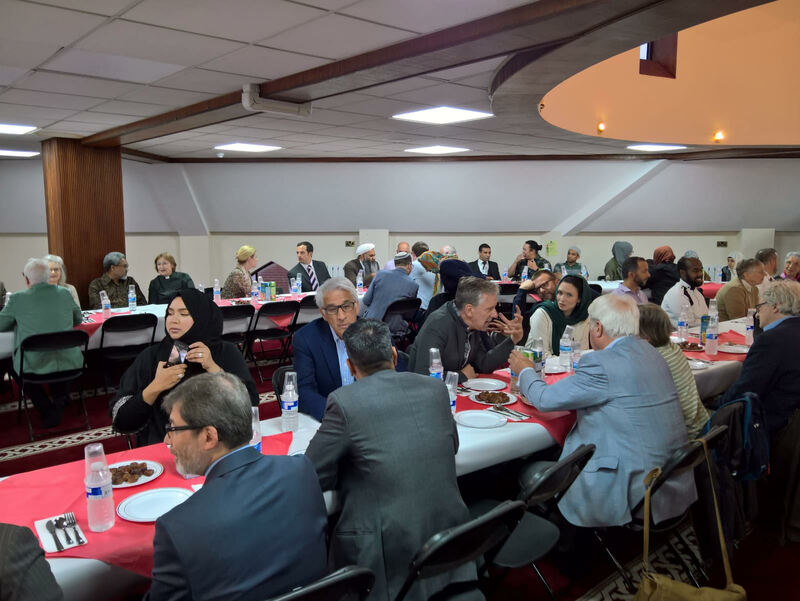 Despite that shadow and references to the very different mood of the last Iftar just after other UK terrorism attacks and the horror of Grenfell, the atmosphere this time was serene. 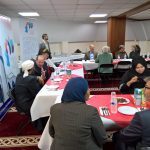 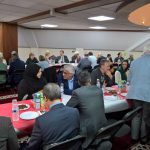 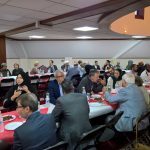 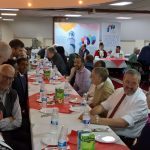 The new Mayor of Islington Cllr Poyser thanked the Mosque for the invitation to theIftar. 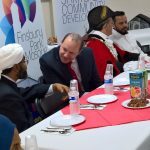 He said how honoured he was to make this his first official appearance as Mayor, and introduced his Deputy, Cllr Rakhia Ismail, who suffered personally from last year’s attack outside the Mosque when her husband was among those wounded. 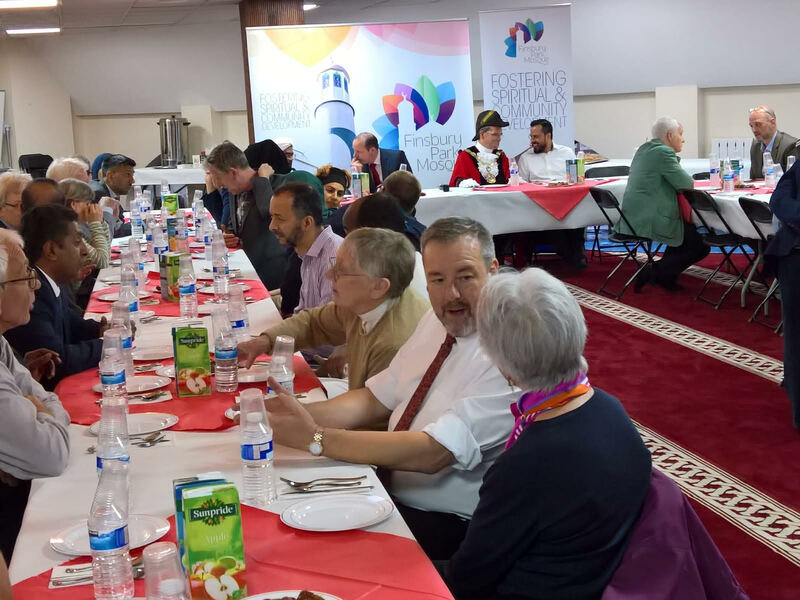 The Mayor stressed the diversity and unity of the guests shows what the local community stands for. 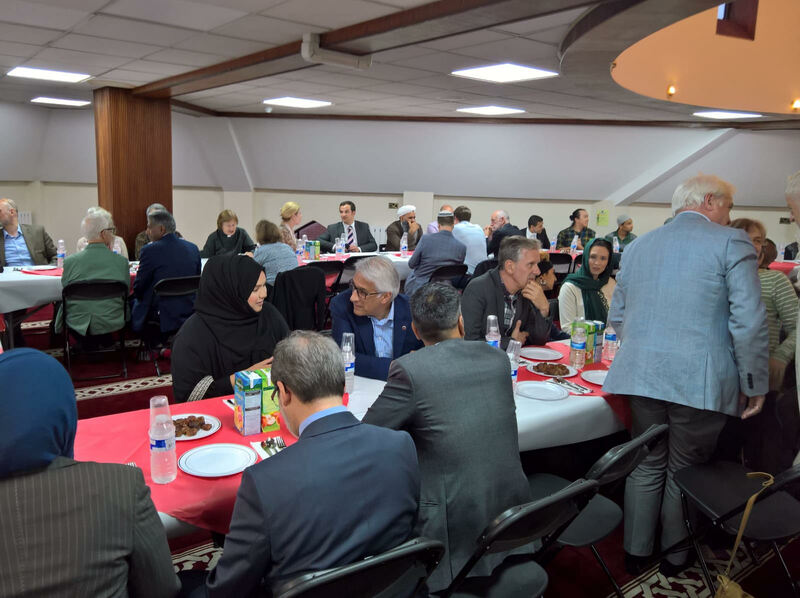 The Leader of the Islington Council Cllr Richard Watts praised the good work the Mosque is doing and in particular during the last year terrorist attack here in Finsbury Park and the role the Mosque played to bring communities together and promote a community cohesion. 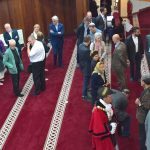 Islington & Camden Police Chief Ian Raphael, saying that it was his first time to attend such an event, echoed the Mayor’s words. 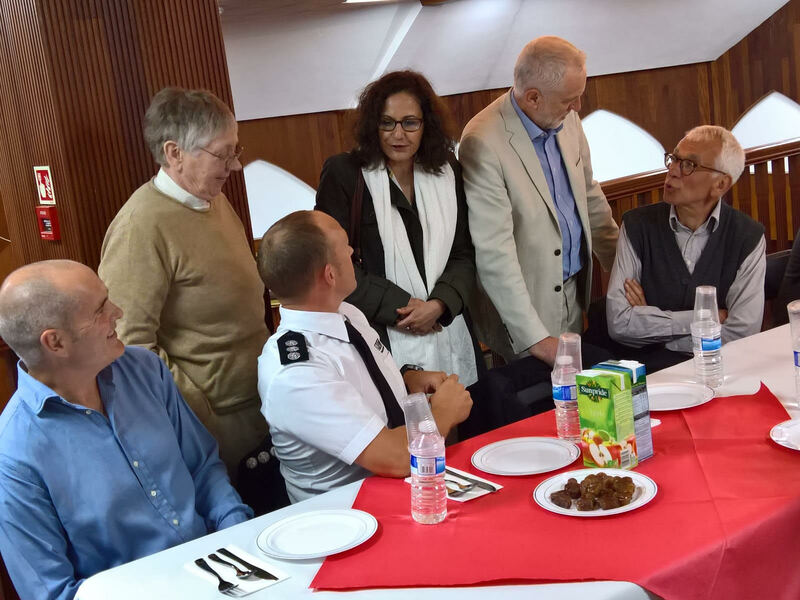 He underlined his determination to keep Islington safe and to do that with the active partnership of the community. 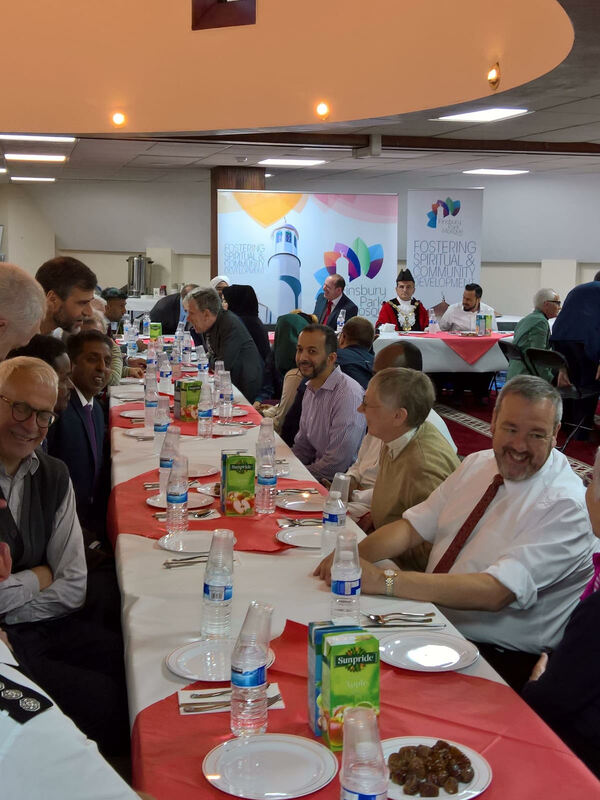 MAB President Dr Anas AlTikriti took up the theme of safety, saying that this Mosque is a remarkable model of a safe space for everyone where needs both practical and spiritual would always be met. 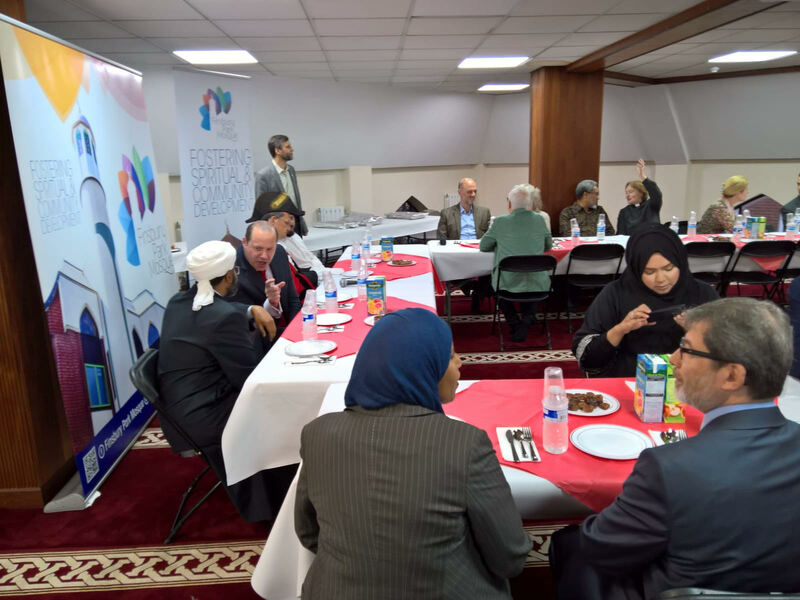 He followed MCB Secretary General Haroun Khan ‘s warm words of congratulation to the Mosque team for their exemplary work. 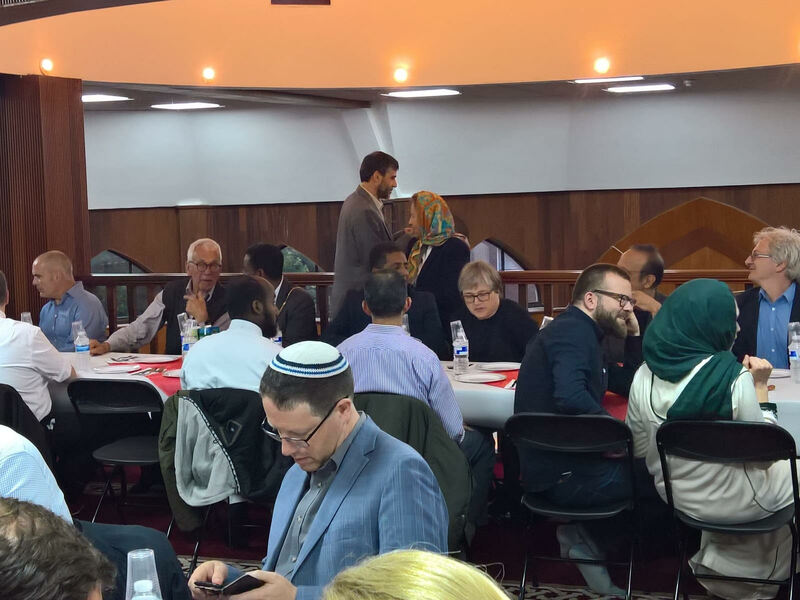 The Revd Jennifer Potter spoke about the long relationship with the Mosque through Islington Faith Forum and how this relationship has a positive impact on our faith communities and the residents of Islington in general. 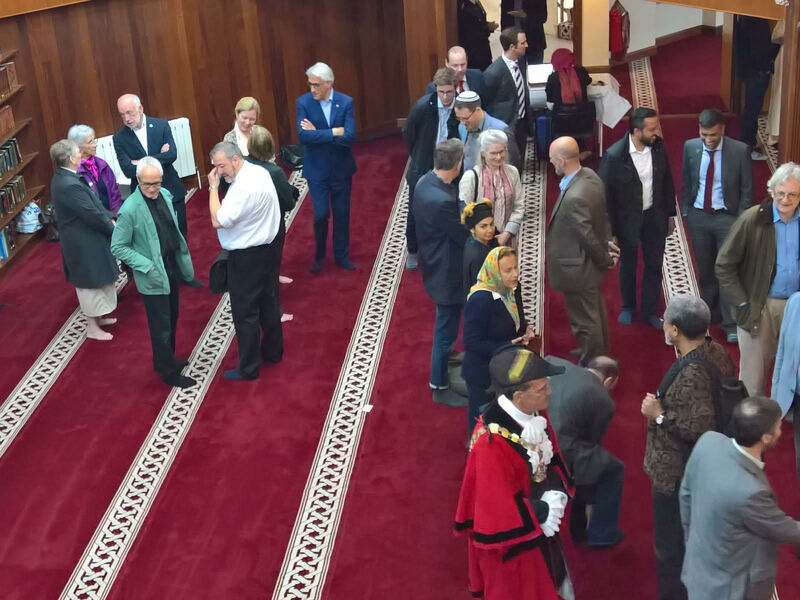 Jeremy Corbyn rose as the last speaker and received enthusiastic applause. 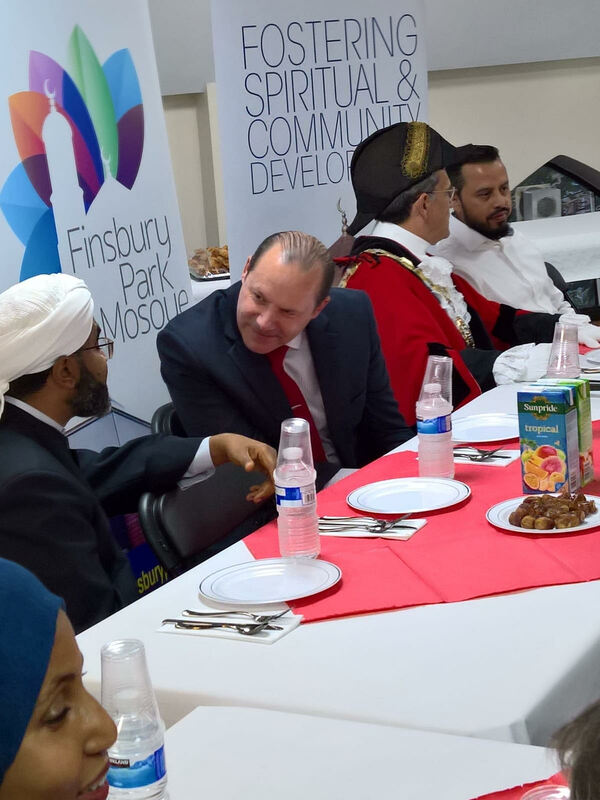 He spoke movingly of what the Mosque and the community at the heart of his constituency has meant to him over so many years under the current leadership. 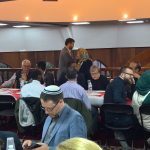 As the Mosque’s worshippers filed in up the stairs for Ramadan night prayers guests from a wide variety of backgrounds crossed them on their way down, still talking among themselves and united by the experience of shared warmth in a unique evening. 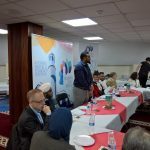 The speeches ended with few words from our Shaikh Faid Said who finished it with Supplication to everyone.